Someone named Daniel recently begged me to do an article on Roman Polanski’s 1999 film The Ninth Gate. I’m always happy to oblige my readers, so I promised him I would work it into my schedule. It just so happened that I had a slot open close to Halloween, so everything worked out perfectly. Daniel, this one’s for you! I felt like I was having déjà vu as I watched The Ninth Gate. I couldn’t quite put my finger on it, but a lot of it reminded me of another unconventional horror film I had seen years ago. It wasn’t until I talked to my wife about it after the fact that I finally realized what it reminded me of: John Carpenter’s 1994 film In the Mouth of Madness. I want to make it clear I’m not saying these films are copies of each other or essentially the same in their plots, the way I’ve striven to do with other Movie Matchups. I’m just saying that they have some surprisingly similar setups and characters, which they do different things with, and both films gave me the same feeling of dread the whole way through. With that in mind, let’s find the devil in the details of The Ninth Gate and In the Mouth of Madness! I just want to throw this out there. I find it interesting that both of these films represent returns by both directors to film genres that they had established their careers with: Horror. Rosemary’s Baby was a big hit for Roman Polanski back in 1968, marking him as an impressive auteur. He had moved on to other genres over the years, mostly involving drama and mystery, before returning more than 30 years later to make another low-key horror film. John Carpenter cut his teeth as a director with Dark Star and Assault on Precinct 13 before he cemented his place in film history with 1978’s Halloween. He made several other horror films in the ensuing years, such as The Thing, Christine, and Prince of Darkness, which, like The Ninth Gate, is about finding a portal to Satan’s realm. But after 1987, Carpenter had his longest dry spell between horror films up to that time. It would be seven years before he returned to the horror genre. In the Mouth of Madness also marks the final great John Carpenter film, in many people’s opinion. Dean Corso is the main character of The Ninth Gate. He’s a rare-book dealer who likes to hustle clueless people who don’t know the true value of the priceless books they possess. When he’s asked to investigate the authenticity of three books that were supposedly penned by Satan himself, he remains skeptical of the whole thing for a very long time. He’s mostly in control of his emotions until close to the end when he finally lets loose and brutally kills a man. John Trent is the main character of In the Mouth of Madness in more ways than one. He’s an insurance investigator who saves businesses from being bilked by insurance-fraud schemes. He, too, remains skeptical of everything happening around him, even as supernatural events become harder and harder to ignore. Right until the end, he believes he’s completely sane. But when he realizes the truth about his existence, he cracks and begins laughing like a mad man. Actors Johnny Depp and Sam Neill really sell their characters and carry the weight of the films on their shoulders. They do their jobs admirably, attempting to remain calm and collected while people are murdered and the world falls into chaos around them. It’s a common trope to demonstrate for the audience that a character is good at his job to establish him as a credible force to be reckoned with early in the film. That way, when he’s thrust into a situation where he’s in over his head, we understand that something is really wrong if even an expert like him doesn’t know what to do. 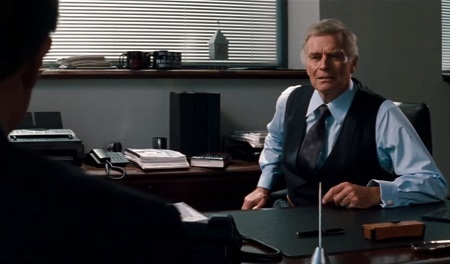 Both of these films follow this pattern perfectly, and they also show that Corso and Trent are opposite sides of the same coin: One wants to defraud people while the other wants to prevent fraud. The first time we see Corso he’s taking advantage of a couple who is looking to sell off their rich relative’s book collection. He vastly undervalues an old copy of Don Quixote in order to take it off their hands and sell it at a huge markup. Trent’s story is told in a flashback, so the first time we see him he’s actually in an insane asylum pretending to be mentally unstable. Chronologically, the first thing we see him do is to uncover a case of insurance fraud. As mentioned before, Corso is asked to investigate the authenticity of an ancient book. He first goes to the widow of the book’s previous owner, who hanged himself after selling the book. She soon pays him a visit at his home and attempts to seduce him into giving her the book back. He refuses and she erupts in fury and violently attacks him, knocking him unconscious. As Trent is having lunch in a café, he’s suddenly attacked by a man he’s never seen before. 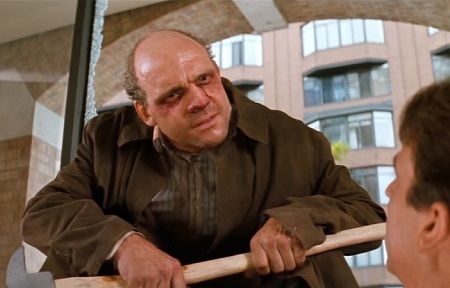 The man breaks the café window’s glass with an ax, asks if Trent has ever read Sutter Cane’s books, and is about to split Trent down the middle with the ax when he’s gunned down by police officers. Trent later learns that the deranged man was Sutter Cane’s literary agent, and he had gone crazy and killed his wife and children before coming after Trent. We later learn exactly why these characters attacked Corso and Trent, and it’s for antipodal reasons. The widow wanted the book to use in a satanic ritual to open the ninth gate. Cane’s agent wanted to prevent Trent from inadvertently opening a portal for demons to enter our dimension and bring about the end of the world. 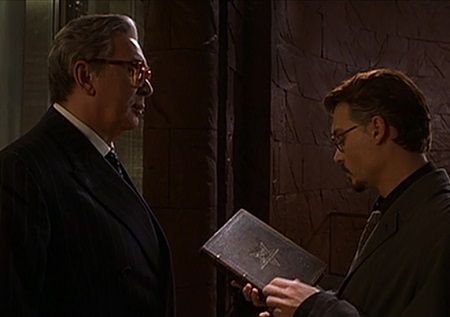 The person who sends Corso on a mission to analyze and, if possible, obtain the other two copies of the book he currently has in his possession, is a mysterious rare-book collector with ulterior motives. The collector turns out to be a devil worshipper who wants to get his hands on all nine engravings that were hand-drawn by Satan. Each copy of the book has three of them. He shadows Corso and kills the owners of the other book copies to ensure he gets all of the engravings in order to open the ninth gate. The person who sends Trent on a mission to investigate the disappearance of Sutter Cane is Cane’s book publisher who appears to be genuinely worried about his investment. It’s hinted later that the publisher was staging the investigation to make it look like Sutter had actually disappeared when, in reality, it was meant as a publicity stunt to hype the upcoming book, In the Mouth of Madness, even more. But even then, his intentions seem benign compared to the collector’s. 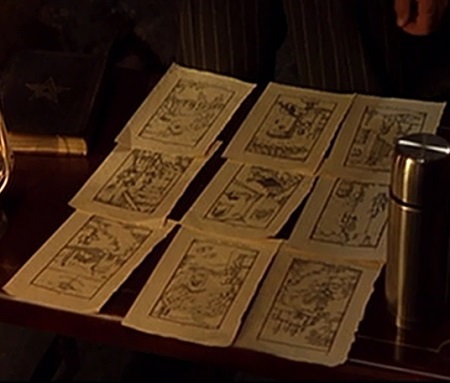 The collector cuts out all nine of the engravings from the three copies of the book before attempting to burn the books themselves. These engravings contain the right words to utter to open a portal to Satan at a certain location. 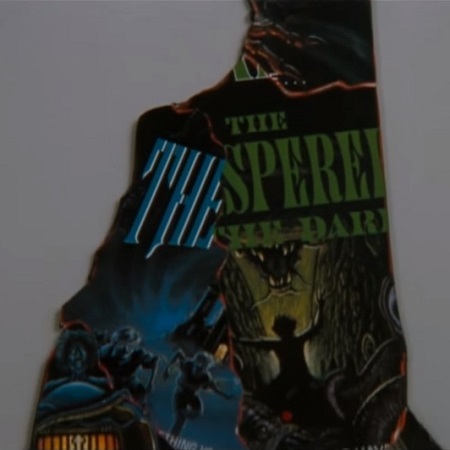 Trent discovers a pattern on the covers of all of Sutter Cane’s books that, when cut out and taped together, forms a map of New Hampshire. It points to the fictional town of Hobb’s End on that map, and that turns out to be the gateway through which otherworldly demons can enter our world. Corso keeps encountering a mysterious woman who claims to be a student. It’s never clear exactly what she is, but she seems to be some kind of demon. She helps Corso sporadically, but she only seems to be using him for her own purposes. She does not join Corso in the flesh when he enters the ninth gate at the end. But her picture is on the final engraving, so in a way she does make it possible for him to go through it. When Trent journeys to Hobb’s End, he’s joined by Sutter Cane’s editor, Linda Styles. She is much less skeptical than Trent, and she falls under Cane’s spell rather quickly, accepting her role in the story. 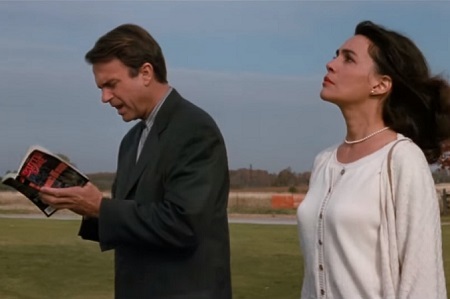 She reads In the Mouth of Madness and realizes that she and Trent are fictional characters and all of their actions have literally been dictated by Cane. The whole point of Trent’s existence is to open the gateway for the demons to go from Cane’s novels into the real world. She is unable to return with Trent from Hobb’s End, and after Trent gets back to the real world, he discovers that no one else has any memory of her because Cane wrote her out of his book. It’s all quite cerebral. Again, these films are definitely distinct from each other. They have a lot of interesting similarities, but they don’t end in the same way and they’re unsettling for different reasons. 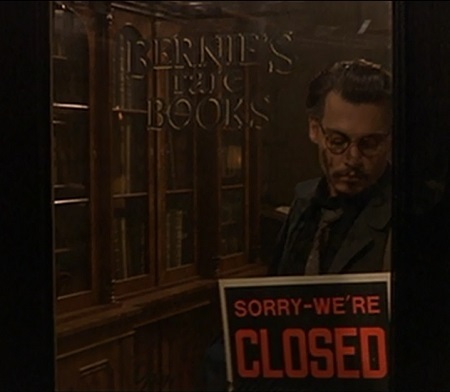 The Ninth Gate relies on a sense of dread about what Corso will find at the end of his literary investigation. The closer he gets to answers, the more dangerous his journey becomes. We already know where Trent’s journey will lead him: Madness. So the film unravels like an increasingly erratic merry-go-round, leading us to question what is real. The more time Trent spends in Hobb’s End, the more evil and twisted everything and everyone becomes. His ending hardly even matters because everything he holds dear has already been taken from him long before then. But despite these seemingly incompatible differences, I can’t help getting the same vibe from both of them. They have a pervasive sense of evil lurking around every corner, and they left me with a quietly unsettling feeling, like any good horror film should do. 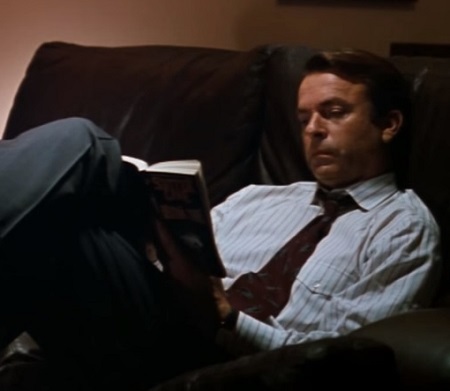 This entry was posted in Movie Matchups and tagged books, directors, films, horror, in the mouth of madness, john carpenter, johnny depp, movie review, movies, movies based on books, roman polanski, sam neill, scary movies, the ninth gate. Bookmark the permalink.